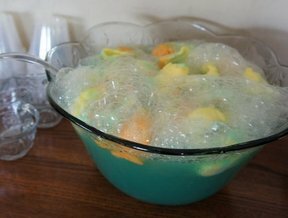 In a large punch bowl, combine frozen orange juice concentrate and 3 cans full of water. Mix until orange juice concentrate has completely dissolved. Stir in pineapple juice and grape juice. If desired, add red food coloring and mix well. 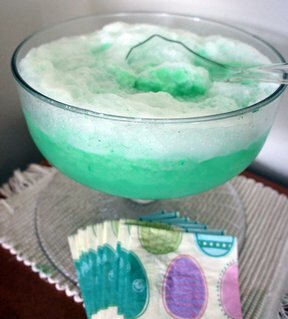 Chill mixture in refrigerator until ready to serve. 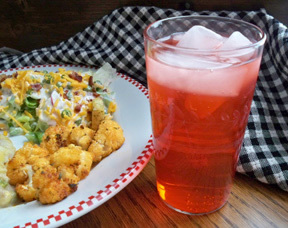 Before serving, slowly pour sodas down the side of punch bowl. Mix lightly.